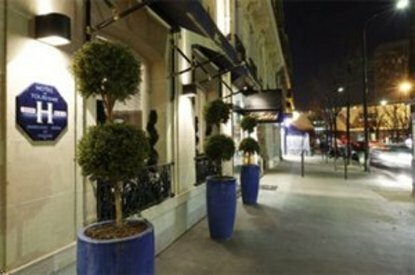 The Best Western Etoile Hotel %Residence Imperiale is located a stones throw from the Arc de Triomphe, the Champs-Elysees and Paris highlights, opposite the Paris Convention Center. This quiet hotel is appreciated for its comfort and privacy. The Best Western Etoile Hotel Residence Imperiale features high speed Internet access in all rooms and in the lobby, 24-hour front desk, concierge, laundry/valet service, and taxi limousines on request at the reception. Our guest rooms feature air-conditioning, cable television, direct dial telephone, dataports, hairdryer, mini-bar and room service.